From the time that we are very young, we learn to admire hard work. Hard work is good, and constant labor is what separates the best athletes, entrepreneurs, and artists from the rest – or so we are told. But the reality is that working non-stop isn’t the secret to success. That would be like sprinting out of the gate in a marathon: you may make great progress in a short period of time, but you’re destined to collapse before you reach the finish. That’s why some of the world’s most successful people moderate their work and manage their free time. Many top executives begin each day with meditation, and all pro athletes factor recovery time in when they schedule their workouts. 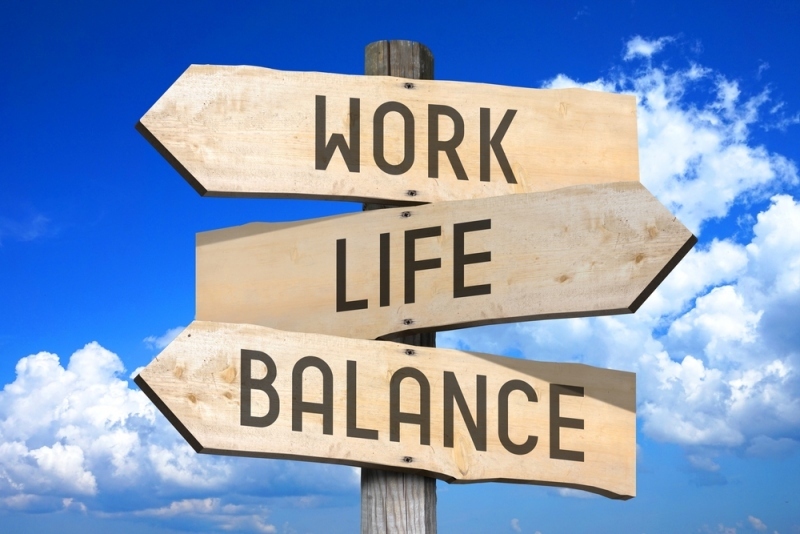 You can balance work-life balance, too, in order to avoid burnout. Burnout is the consequence of working too hard for too long, and it is very, very real. Scientists have proven that we really can work ourselves to a point of mental exhaustion, and that this can have serious consequences for our health. This isn’t just a mental thing: real physical consequences to your body can result from burnout. And studies even show that burnout can slow down your progress in your career. That’s right: working hard doesn’t always get you ahead, because working too hard can actually make your career worse! It’s vital for your health and your career to manage your work in a way that makes you more productive, but also happier and healthier. When you’re at work, of course, you should work. But staying at work too late can be bad for you, and worse still is bringing your work home with you. Studies show that our bodies and brains really value our rest time, which is why experts recommend avoiding work while you’re at home. No, don’t answer that email – it can wait! Relax, take yourself out to a restaurant, or just read a book at home. Whatever you do, though, do it for yourself – not for your work. Similarly, experts recommend that you take your lunch break outside of the office – and don’t do any work during it. While working through lunch is sometimes unavoidable, an hour off in the middle of the day can make the other hours more productive, meaning that someone who does take a lunch break can actually get more done that someone who skips lunch to keep working! Work-life balance isn’t just about getting things right day to day. Sometimes, you’ll need a longer break. Studies have proven the benefits of vacations and sabbaticals, yet too many Americans still leave vacation days on the table each year. Use yours, and retreat from work entirely. Invest in a vacation property or visit a new place each year – but whatever you do, don’t work during your vacation. In the end, it will be worse for you and your career. Working from home seems like a great way to balance work and life: you’ll be getting things done in your space on your terms! But if you’re not careful, you can end up being less happy and productive working from home than you would be at the office. Set boundaries and isolate areas of your home for work. Establish and office-like schedule and environment, and dress yourself for work each day – but when you’re done, keep the rest of your home work-free and enjoy your time off. Working from home can be dangerous to work-life balance because it makes it easy to imagine that work and life should be integrated. In fact, harmony between work and life means setting boundaries and taking time off. So work when you’re at work, but keep your personal time sacred. In the end, it will be better for your life and your career.